Since 1988, locally owned and operated Action Express Ltd operates a fleet of over 55 vehicles providing transportation services anywhere in the Western provinces. Serving Manitoba, Saskatchewan, Alberta and British Columbia, we have the trucks and trailers for any size load. Our fleet includes Super B and B-Train decks, and vans. Our specialized hauling equipment includes pilot trucks, hot shot and switch tractor services. 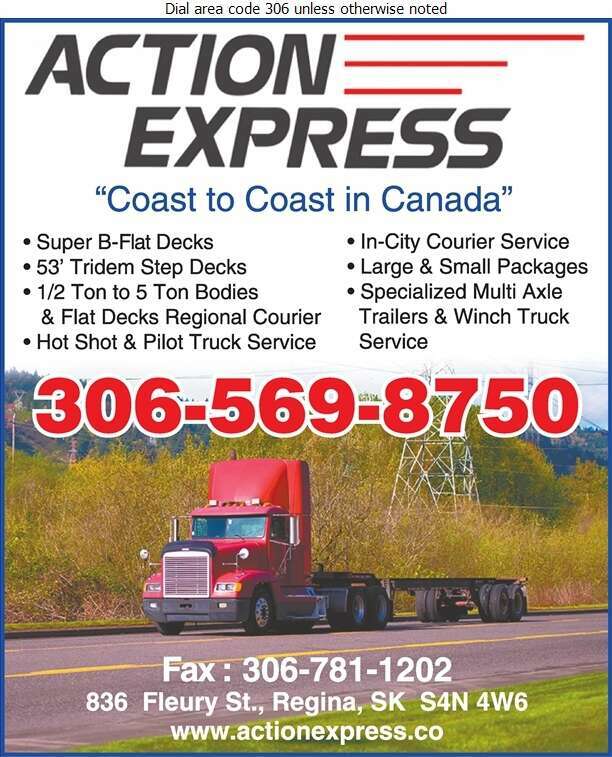 Services at Action Express Ltd include flatdeck freight and long haul trucking, province wide courier and hot shot services, warehousing of small shipments for local pick up & delivery and brokering. Action Express Ltd keeps everything moving!